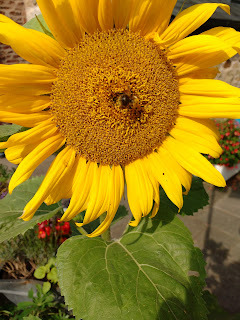 I have lots of sunflowers growing in the garden and a lot of them have appeared in the hanging baskets and tubs. 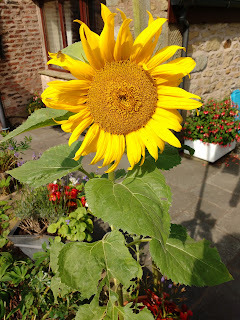 I can only assume that these have come from seeds dropped by the birds as I haven't planted any of them! This one has just come out and looks beautiful in the sunshine.